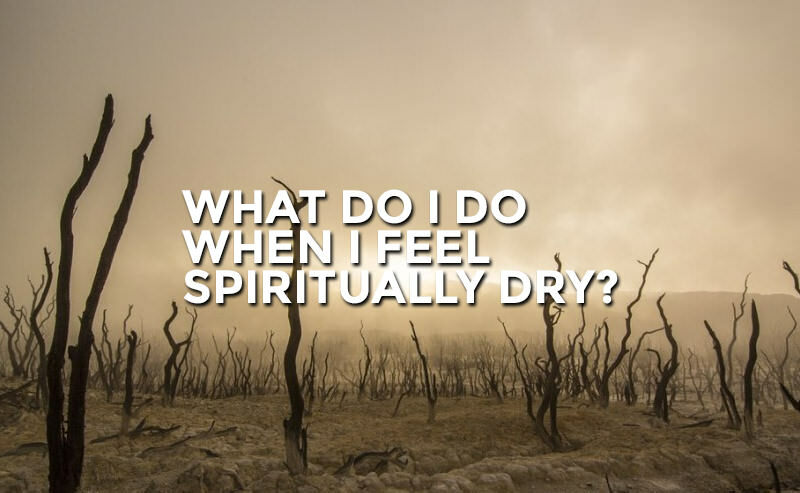 Blog What Do I Do When I Feel Spiritually Dry? When I first became a Christian, nobody told me that some days I just wouldn’t feel it. I wish they would have. It is truly disturbing when the afterglow of new faith begins to fade. But fade it did. One day I found myself without passion, excitement, or motivation. I found myself confronted with the disciplines of the Christian life—the reading, praying, serving, and so on—but without a desire to actually do them. More than that, it almost seemed hard to believe that God was there. I didn’t feel close with Him, I didn’t feel his presence, and I had no idea why. I was terrified. If you haven’t felt this yet, it is coming. If it has come and gone, it is coming again. So what do we do about it? There are probably dozens of good, biblical things that we might do when we just don’t feel it, but I want to give two things that I have found particularly helpful. Being from a demon’s perspective, the “Enemy” is God. And I was that human who no longer desired, but still intended, who looked around at a spiritual wasteland. And it was this passage that made me, more than ever, want to obey and persevere even if I didn’t feel it. I felt like it was my moment in battle—I would either rise to the occasion and secure a glorious victory or be crushed in a shameful defeat. Little did I know that it truly was such a moment. This passage just made it real for me. It captured the grandeur and the gravity—it made me want victory. I can’t quite describe the inspiration that I find in this imagery. It’s not a battle, it’s not glorious, but somehow it is motivation. It makes me feel like I’m in the middle of the desert, dying of thirst, and I’ve just glimpsed an oasis in the distance. So what do I do? Anything but stop. I keep going! I might even pick up the pace. The brutal and sometimes (shamefully) hidden truth about Christianity is that it is really hard. It is a long road, and it takes perseverance. Don’t give up. These things have been tremendously helpful for me, and I hope they will help you, too. Consider them like little sacraments, little channels of God’s grace to which we go in times of need, because, ultimately, grace is what we need more than anything.